Is Stoke’s success all down to Jack Butland? Super Saver: Is Stoke’s success all down to Jack Butland? The games are coming thick and fast now. After a thrilling weekend of action, us football fans were treated to a wee bit more drama on Tuesday and Wednesday night. There were twists and turns in the title race (though ours is still a one horse race! ), while the relegation battle is hotting up. This is the point in the season when goalkeepers can make or break a season. 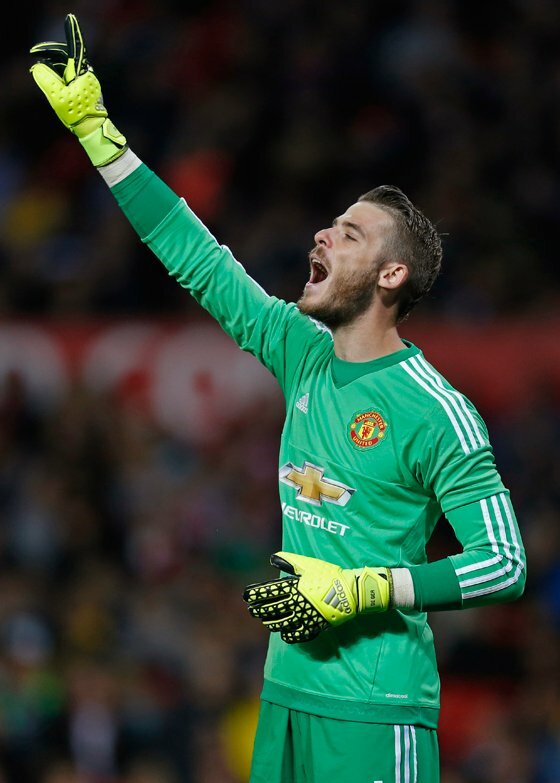 All season Stoke’s Jack Butland and Manchester United’s David de Gea (pictured) have been the star performers. According to our alternative league table below, where we show how a world without goalies would look, Stoke would be a full 10 places worse off than they are in the real Premier League. Well done Butland! Sunderland can also be thankful for the performance of their goalkeepers since January, coinciding with the re-introduction of 2014 Super Saver winner Vito Mannone. Despite facing a league high 166 shots on target, they have managed to crawl out of the relegation zone, while in our league they would still be in the doldrums looking up. Keep up the good work Black Cats. Here at Scottish Friendly we think goalkeepers are underrated so we’d like highlight just how important keepers are to a team, after all they are savers in their own right! We imagine each game without keepers and take the number of shots on target by each team as the result. By looking at it this way, we can see which goalies have been busy winning their team points, while also finding out which ones are holding their team back.